Get the Full StoryBen Askren wants to fight the UFC lightweight champion for the 165-pound title in either October or November of this year. Ben Askren has his hands full with his UFC debut in March, but he is already thinking about what may come afterwards. 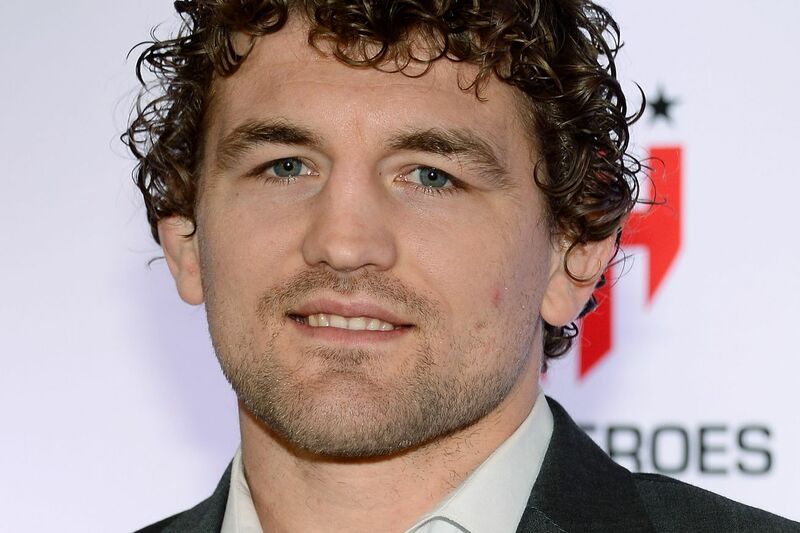 Askren, a former ONE Championship and Bellator welterweight champion, is scheduled to make his long-awaited first Octagon appearance against former UFC champ Robbie Lawler at UFC 235. The event takes place March 2 at T-Mobile Arena in Las Vegas. Askren, however, has called out just about every top contender in the UFC welterweight division including Kamaru Usman and Colby Covington as well as UFC lightweight champion Khabib Nurmagomedov. Askren said in a tweet Saturday that he wants to fight Nurmagomedov for the UFC 165-pound title later this year. Just heard what TeamKhabib said, he will find his levels when he can t get off his back and I am big brothering him, Askren wrote. Will fight him for 165lb title in October November of this year. Nurmagomedov said earlier this week that Askren should slow down with the call-outs and trash talk because Funky has yet to step foot inside the UFC cage. The Eagle, who most recently submitted Conor McGregor last October in his first 155-pound title defense, said we will see Askren s levels when he makes his debut against Lawler in two months. As of now, the 165-pound weight class does not exist in the UFC. Several fighters, particularly lightweight contender Kevin Lee, have called for the addition of the division, but UFC president Dana White has shut the idea down. If you ask White, it s not likely we see 165 pounds in the promotion anytime soon.